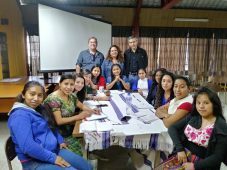 A year later, in partnership with UDEFEGUA (La Unidad de Protección a Defensoras y Defensores de Derechos Humanos Guatemala) and The Human Rights Defenders Project, PEN International and PEN Canada staged a three-day security workshop for 16 indigenous women journalists in Guatemala City. In 12 intensive sessions from December 7-9, participants learned how to analyze and mitigate risks, draft security plans, and cope with the chronic stress of violent and unpredictable work environments. Frank Smyth, founder and executive director of Global Journalist Security, led the initiative. During the training, Smyth emphasized the importance of solidarity as a disincentive for would-be attackers: “Bullies prefer to work alone, in the darkness,” he repeated. “They are frightened by the light.” With his colleagues Marcela Turati and Javier Garza, Smyth showed that journalists who leverage their professional networks to publicize aggression against their colleagues can force their adversaries into a defensive posture. Publicity raises the cost of threats and discourages intimidation. In many ways, solidarity is security. 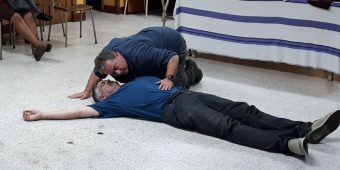 PEN’s workshops addressed the usual security measures as well as de-escalation strategies, basic self-defence and first aid, and contingency planning for chaotic situations like abductions and assaults. But its primary focus was solidarity: the need for the indigenous community – often marginalized by Guatemala’s corporate-owned media – to strengthen its networks with other journalists both nationally, regionally and internationally. Smyth illustrated the power of these networks by displaying the CPJ’s recent appeal for Jerson Antonio Xitumul Morales, a colleague to several workshop participants, through an overhead projector. Thirty-six years of war have left deep scars on Guatemalan society. The conflict normalized violence and undermined public trust in law and order. During the early 1980s a brutal counterinsurgency led to the wholesale destruction of hundreds of Mayan villages and tens of thousands of deaths. In 1996, the UN report on these atrocities officially designated the army massacres as a genocide. Several of the journalists at PEN’s workshops came from communities that experienced the brunt of this horrific violence. Tragically, even today, the terror associated with security forces and international investors – such as the sexual violence at Zepur Zarco and Lote Ocho ­– too often remains the rule rather than the exception. In addition to facing threats from state and private actors, many women also face criticism within the political arena from conservative groups who consider journalism and human rights advocacy to be a male preserve. 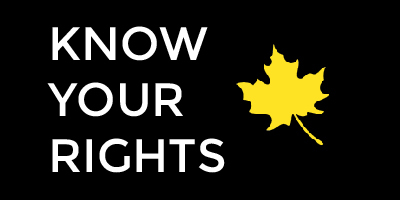 Marginalization affects official protection measures available to female human rights defenders and journalists. When female human rights defenders and journalists face threats, defamation, or physical and sexual violence, they often lack access to the social networks and protective mechanisms their male counterparts can rely on. Facing greater levels of risk, they are more likely to self-censor. PEN’s security workshops are a modest counter-pressure to these trends, but they are important nonetheless. Six years ago, a nine-country PEN delegation to Mexico City urged the Calderón administration to do more to protect its journalists. The delegation placed a short message of solidarity as a full-page ad in several prestigious newspapers. Endorsed by some of the world’s most eminent literary figures, the PEN statement affirmed its commitment to freedom of expression and memorably asserted that it valued the life of a journalist in Ciudad Juarez no less than that of a Nobel laureate for literature. 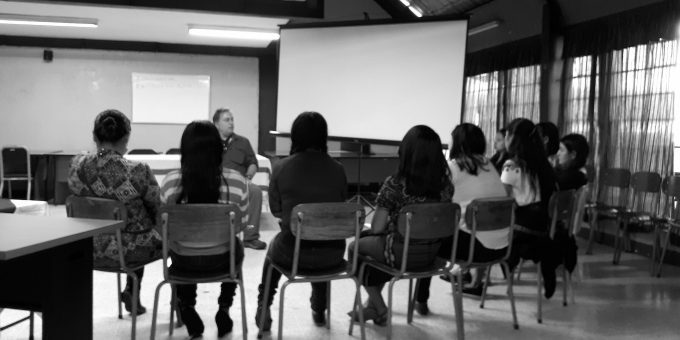 Perhaps the most important outcome of the recent workshops in Guatemala is that this circle of solidarity now includes indigenous journalists in Guatemala. Courageous women who work for some of the country’s most marginalized communities, in places like Solalá, Chiquimula, and Petén.